I have been privileged to have a 41-year career as teacher, coach, and athletic director. As one big part of my life concludes, it's wonderful that, simultaneously, the new one takes full flight. My thanks to the extraordinary people I've worked with over the years, many of whom I count as my family. 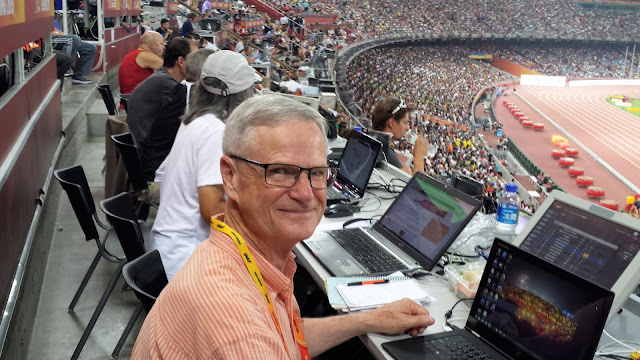 With gratitude and appreciation from Mark Cullen - I look forward to reporting to you from track stadiums around the world! We're the lucky ones, Mark! Des Moines - Day 3 - It's All About DeAnna!